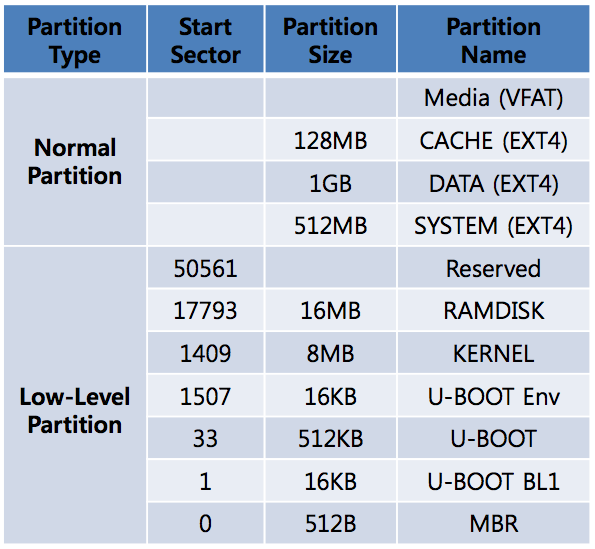 Depending on the version, distribution and configuration of u-boot these features could change. The easiest way of checking which of them are available in our system is to access the u-boot console and check it. We will come back to this later in this same post. First, we will comment on how to build and flash u-boot as well as interesting files to make changes in. One of the first things to check when we decide/have to deal with u-boot is to check which version we are running. In order to do this, check the Makefile (version and patchlevel). After this, check DENX’s documentation (here) to find out the available features. Since u-boot is open source, we cane explore and modify the code to fulfil our needs. Most of the times, the features provided by u-boot are more than enough, nonetheless, here there is a list of interesting directories to check out. Boards: In uboot/boards we can find the different boards supported by our version of u-boot – which will be the target platform when we build uboot. Boards are organized by fabricant/model, and once in the directory, we will find a C file (boardname.c) and several header files (headername.h) defining register addresses, pin layouts, clocks, etc. 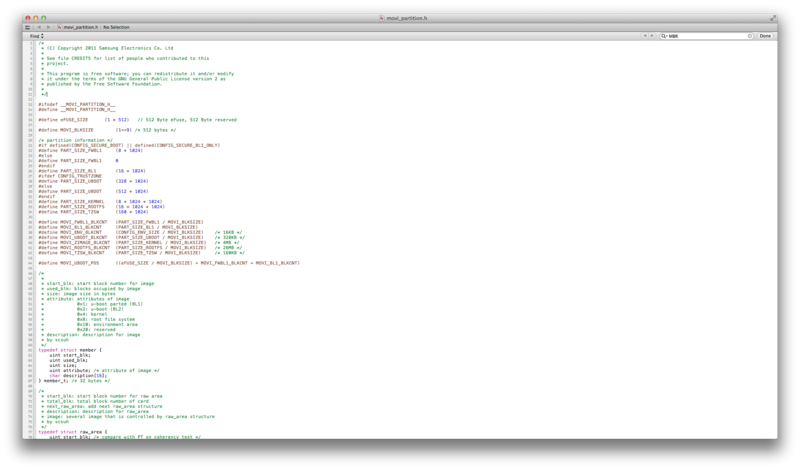 These files define the board itself and tell the compiler -when building uboot- and the boot loader itself which hardware components does the board count on and how they are wired. In case we want to port uboot to a new board, this is the place to start. Processor Special Modes: One of the parameters we can also play with during the booting sequence, is the processor modes (e.g. TrustZone, in compatible ARM processors) . If we want to make use of these modes, we need to enable them, and this usually takes place when the processor start up and its components are initialized. 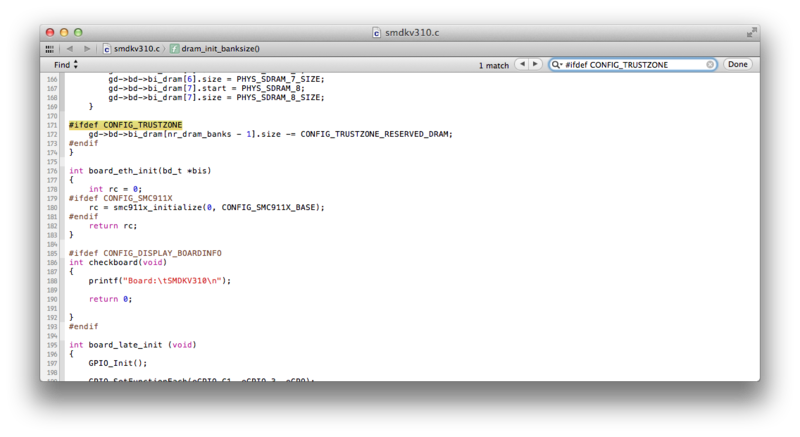 This code is part of the boot loader. Normally, enabling/disabling a mode is as easy as uncomment/comment the definition of a global variable, which is used later on in an ifdef MACRO in the C pre-compiler so that code can be adapted to operate in that mode. After make has finished, we can check that the u-boot.bin file has been successfully generated. After this we can just flash it (the u-boot.bin file) into ours device boot device – ROM, SDCard, USB, etc. Depending on the board, this process -once again- might vary. Taking as a example the same board we have used for our own development -hardkernel’s ODROID-PC– this board needs of a first level boot loader that adds a checksum and a header to the original u-boot.bin, and it is generated from the u-boot.bin file itself using a tool called sd_fuse. This first stage boot loader is called U-boot_bl1.bin in the ODROID-PC community. This tool is part of the ODRIOD-PC’s boot loader used by the hardkernel team in their boards and it can be downloaded here. The u-boot_bl1.bin file is generated in the uboot directory. Please remember that this last step is platform specific and most probably does not apply to other boards. The last step we need to give is to flash the boot loader in our boot device. It could be that the fabricant provides the image of the boot loader (not the code), in that case, this step is still applicable when doing recovery of the board, flashing a new boot device or similar cases. Check the Boot Devices attached, they will look like /dev/sda1, /dev/sda2, /dev/sdb1, etc. Attach the boot device to your host machine: SDCard, USB, etc. Check which device has been added (e.g. /dev/sdb*). This is out boot device. What we do with the dd command is to copy the file u-boot.bin to the device /dev/sdb, “seeking” 33 sectors. This means that we will skip the first 32 sectors and of the boot device and star copying the u-boot.bin in the sector 33. 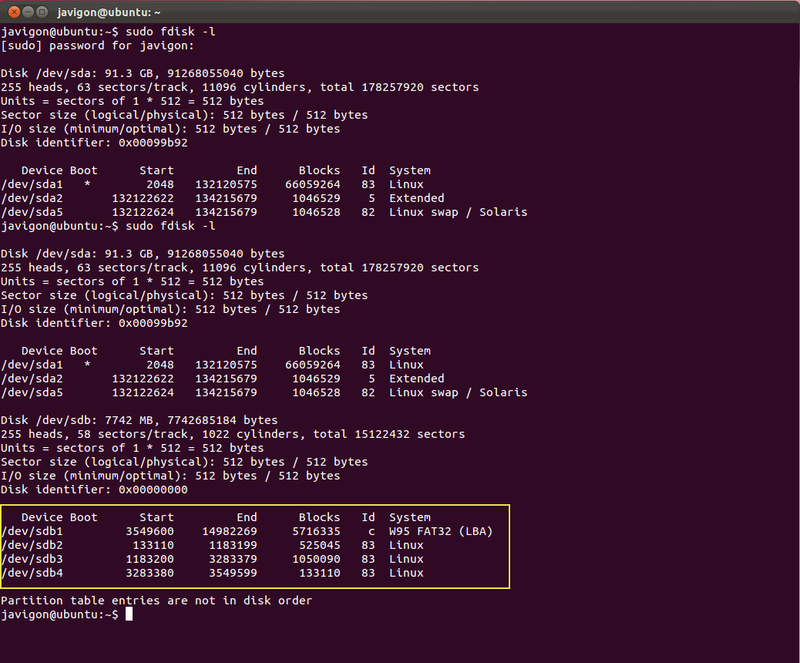 Similarly, we copy the first stage bootloader, u-boot_bl1.bin, in our boot device, in the sector 1. Once question here is: Why in this specific sectors? In the case of the ODROID-PC, if we check the documentation, we can find the following image, from where we can easily deduct the information provided above. Other boards should not differ much from the one we are using here as an example, being the information given here easily portable to other platforms. This entry was posted in Android System Development, Embedded Systems, Linux and tagged Android Development, Android System Development, BootLoader, Embedded Systems, Linux, U-Boot. Bookmark the permalink.